My garden is Ka Put! The tomatoes really never appeared in abundance. I might have gotten about a total of 25-35 good SMALL tomatoes. The funny thing is my jalapeño plants did beautifully. They were VERY abundant! 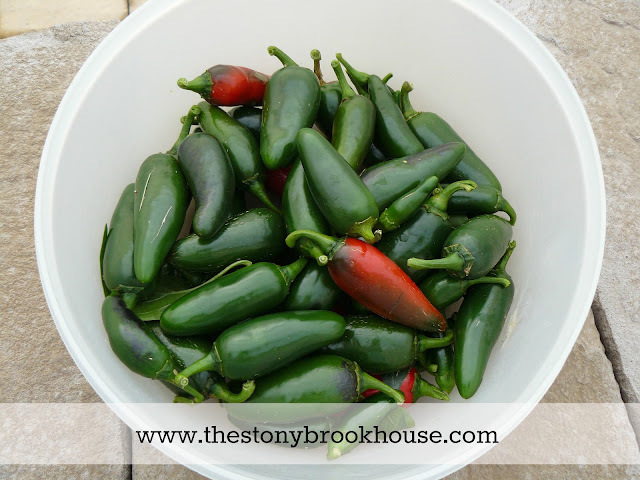 I gleaned every jalapeño I could find. Here is my last harvest. 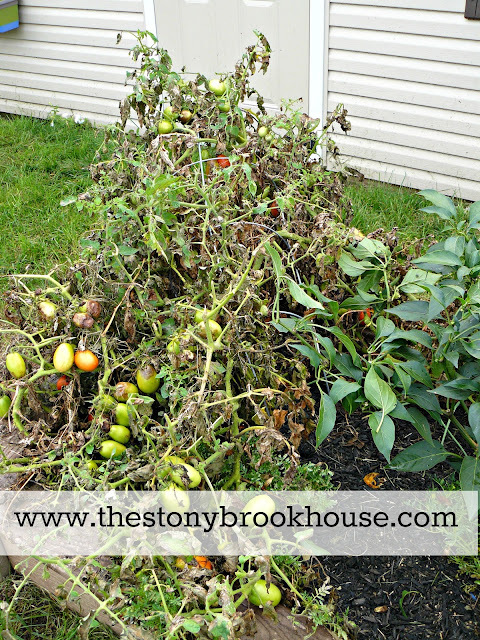 I still can't believe that my tomatoes did so horribly! Okay so, there wasn't really enough tomatoes for my grandiose ideas for canning a basement full of salsa. I know, I'm exaggerating, but come on really? I was so disappointed. 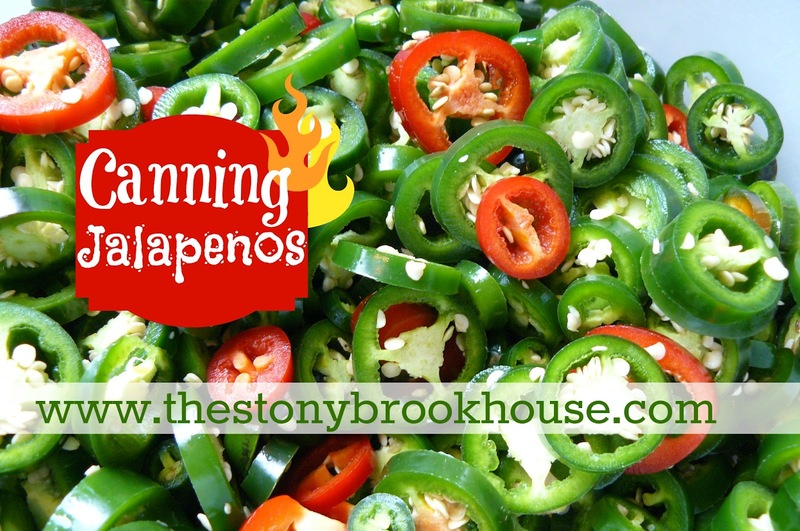 If life gives you rotten tomatoes and beautiful jalapeños then do something with those beauties! I froze some and canned some. I've never done either before, so we'll see how they come out. It was very easy to freeze them. The Blue Ball Canning Book, said to just wash them whole and put in a freezing container. Which to me means a freezer zip lock bag. Easy peasy! Done! I don't know why, but whenever I get set to can, I get a bit intimidated. Even though I've canned LOTS of times. It's weird. 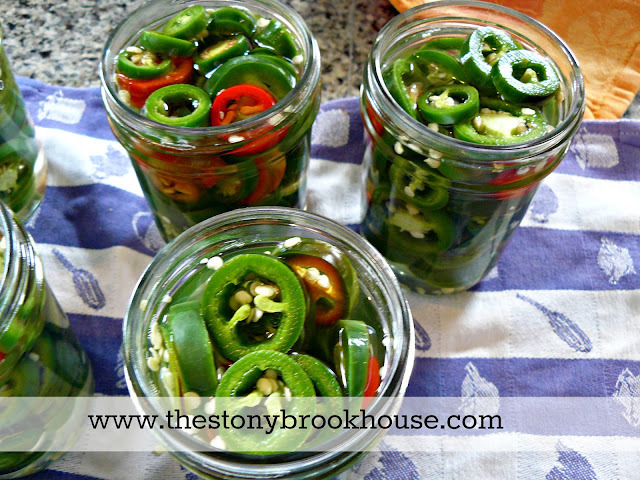 Maybe it's because I've never canned jalapeños. To overcome my fear, I read the Blue Ball Canning Book. Then I thought I'd take a look at some YouTube videos. There are some really good ones out there. I was much more confident after watching a few. The Blue Ball Canning Book tells you to water bath the jars, but in watching the videos, I could see that wasn't going to be necessary. I've never water bathed the jams I've made and a few other items that are "hot packed". my fam likes them the best. In the videos, they said to wash your jars in the dishwasher and leave them in there to keep them warm. Brilliant!! Genius! Then put on your disposable gloves and start chopping away. I just cut them up seeds and all. A lot of the seeds ended up in the bottom of the bowl. Aren't those colors just gorgeous!? Next combine and boil your brine mix. 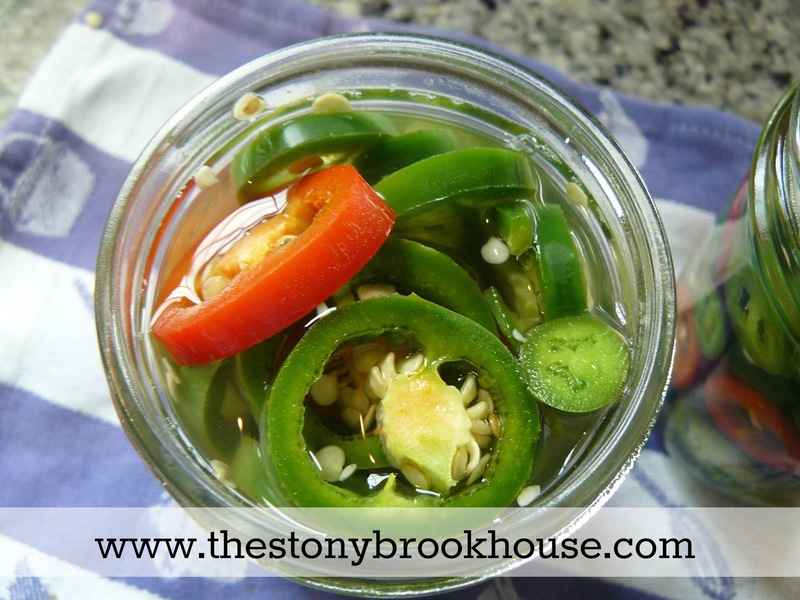 I mixed 4 cups of vinegar, 1 1/2 cups of water and 1/2 cup pickling salt. Heat all of that up until it's boiling. If you watch the video above, I don't really need to give you the step by step. with about 1/4inch head space. Wipe the rim and put your canning lid on. Screw the ring on and turn and flip a few times, then place upside down on a dishtowel for 24 hours. Then the next day, flip them over and you are DONE! 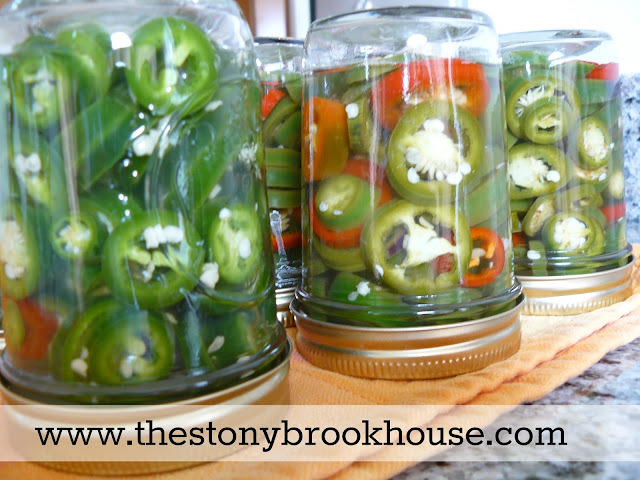 I heard not to open a can for at least two weeks, for the "pickling" to be complete. I'll let you know how they taste vs the frozen ones. Next year, I might do sweet pickled. That might be different. I made these beans a couple of weeks ago that were TO DIE FOR! They were sweet and then I added the jalapeños. Sweet and hot.... YUM! Do you like to can? If so, what?